Four second-year students, supported by UCL Innovation & Enterprise, are through to the final of the Hult Prize. 1,500 teams entered the globe social startup competition, which has a $1m grand prize. A team of UCL students has been named one of six finalists of this year’s Hult Prize. The international initiative, backed by Bill Clinton and Barack Obama, helps launch social enterprises from universities. Rice Inc was founded by biomedical sciences, statistical science and economics students Lincoln Lee, Julia Vannaxay, Vannie Koay and Kisum Chan. Their business addresses 2018’s Hult Prize Challenge - of harnessing energy to transform the lives of millions - by offering rice farmers an innovative way of funding the efficient treatment of rice crops. Hundreds of millions of tons of rice goes to waste every year because of poor post-harvest practices. Rice Inc not only solves this problem but also guarantees a higher quality of rice grain, meaning farmers are paid more for their produce. The winners of the Hult Prize will be announced on Saturday 15 September, after the six finalists pitch at The UN in New York. The best idea will be awarded $1 million to make their business idea a reality. The business advice team at our innovation hub, UCL BaseKX, have been heavily involved in assisting Lincoln, Julia, Vannie and Kisum on their journey to the Hult Prize final. Entrepreneurship Acceleration Manager Bao Tieu personally delivered hours of mentoring, including guidance on best pitching practice. On top of this, Innovation & Enterprise has happily contributed financially to ensure Rice Inc was able to attend the Hult Prize Summer Accelerator and now the grand final. 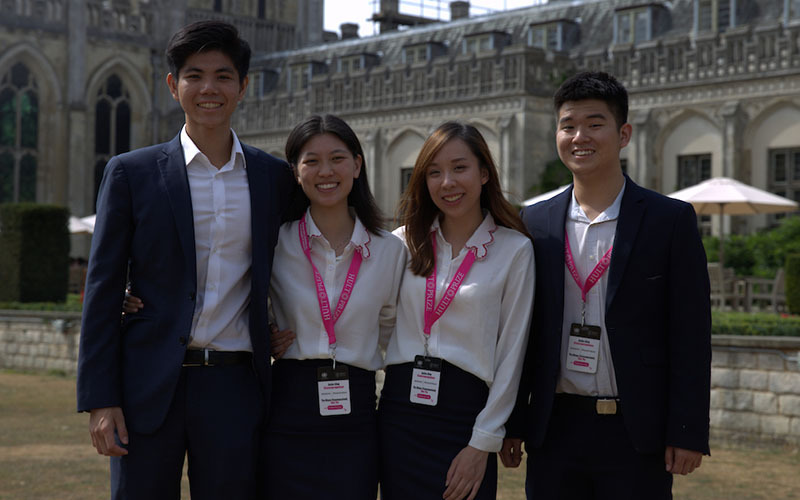 This support has already paid dividends for Rice Inc, who won the first London Higher UniVenture Student Entrepreneur Competition earlier this year. Rice Inc's journey began in October 2017 when they attended a meeting organised by UCL Hult Prize Campus Director, Mascha Samkova, to encourage UCL students to take part. Three startups – Rice Inc, Fuelnomy (greener autonomous car designs) and Earth Sun Initiative (accessible solution to non-potable water) – emerged from this to progress to the regional finals of the Hult Prize, an unprecedented achievement for the university. Nine months ago the Rice Inc team was a group of regular students starting their second year at UCL. Now, with the help and support of UCL Innovation & Enterprise, they’re accomplished professional thinkers leading a generation to change the world. Read more news from UCL Innovation & Enterprise.